Even in late summer or early fall, avid gardeners are still keen on having slatwall organization systems installed in a typical garage renovation because they understand the value of fall gardening and the need to access garden tools well into November in the GTA. In fact, slatwall storage with its wide array of Camlock hooks, baskets and shelves make for the ideal way to make tools readily accessible and easy to swap out when the seasons demand it. Taking our hint from Mother Nature, we see that she has many of its trees, shrubs and perennials shed leaves and drop seeds in the fall in order to facilitate a successful spring growth. Following the natural life cycle of these plants, fall gardeners will do several things throughout the fall months of September, October and November to ensure the best results in the following year. 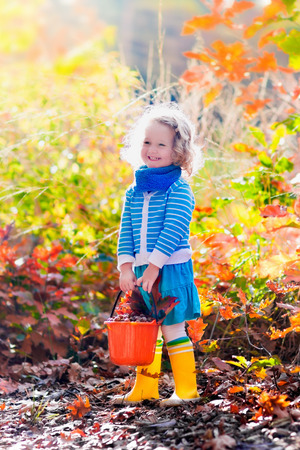 Fall is one of the best times to prepare the garden for the best results in spring. In fact, far greater success in the growing season comes from the things we do to prepare the yard during the fall. So, the question is what to do and what will we need to do a good job of preparing the yard and garden. So, keep your tools on the garage wall organization system or if you don’t have one, then consult with one of our garage renovation specialists. 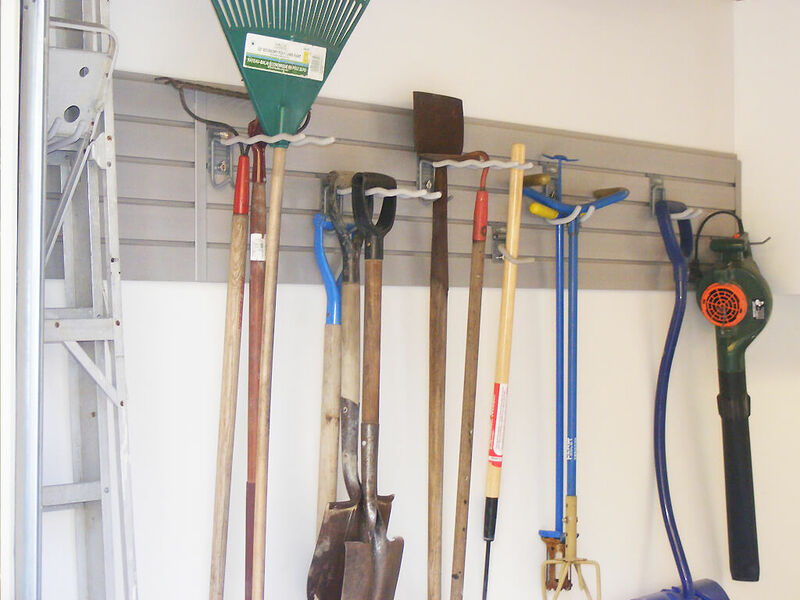 Having a slatwall organization system allows people to adopt a strategy of swapping out tools between the seasons to maximize garage space. In this case, you might want to hang onto the garden tools just a little longer and wait a little longer to swap them out for snow removal type tools. So, spend some time planning your next garden starting this fall instead of waiting until spring. Prepare a list of plants you would like to see in the yard. Then, choose seeds which benefit from a fall planting. Start this in September so there is time for seeds and bulbs for flowers which blossom in spring. Do it early to allow them to take hold before the frosts in November. Then they’ll be prepared to weather the winter and provide great blossoms and spring growth. Also, if you have young trees or shrubs that need a new spot in the yard or garden, fall is the time to move them to their new location. Keep watering trees and shrubs until the ground freezes. Strong fall development means they’ll be hardy throughout the winter and into spring. The best thing about fall gardening is that we can prepare the garden so that the ground is in much better shape in early spring. Here is a few things to do. Fertilizing the lawn in fall helps to significantly reduce weeds. Also, pull out any existing weeds now before they seed. Doing these two activities in the fall will give your lawn a hefty head start in spring. There’s debate as to raking leaves. Mother nature intended them to stay on the forest floors to provide protection to young seeds and plants throughout the winter. However, raking them, mulching them and then adding them back to your garden, compost and lawn are also good alternatives to feeding the lawn as well as the garden. Adding compost or manure to the garden beds helps settle the mineral balance of the soil in time for a spring planting. If you have any annuals left from the current year, remove and compost them. Then, return the compost back to the garden beds. If there were any diseased plants trim the dying or disease sections. You’ll want to throw them out instead of putting these clippings back into the compost. Take a look at perennials and the foliage. Cut back on excess foliage so there is less of a plant for your perennial to sustain over the winter. They’ll come back stronger in spring and less foliage means fewer pests will be hiding amongst the foliage during winter. Also, cut grass along the edges of your home so you don’t leave a place for rodents to build a home or nest beside or even inside your home. For a more comprehensive list of things you can do to prepare your home during fall, consult the Landscape Ontario checklist. So, keep the hoe, rakes, trowels, clippers and garden gloves out and handy. If you’ve got one of our slatwall systems, you know you can even hang a lawn mower or a lawn fertilizer spreader. And, it won’t take long to swap out the various garden tools for the shovels, salt and snow blowers. Just before the first frost hits the ground, you can be ready and organized quickly. If you’re interested in understanding how the slatwall storage systems we offer can help you stay organized and effective, ask for a complimentary in-home consultation today.